This mixer's European design provides a stunning contemporary feature for your kitchen. Its highly polished chrome finish and round handle is designed to suit any modern kitchen. 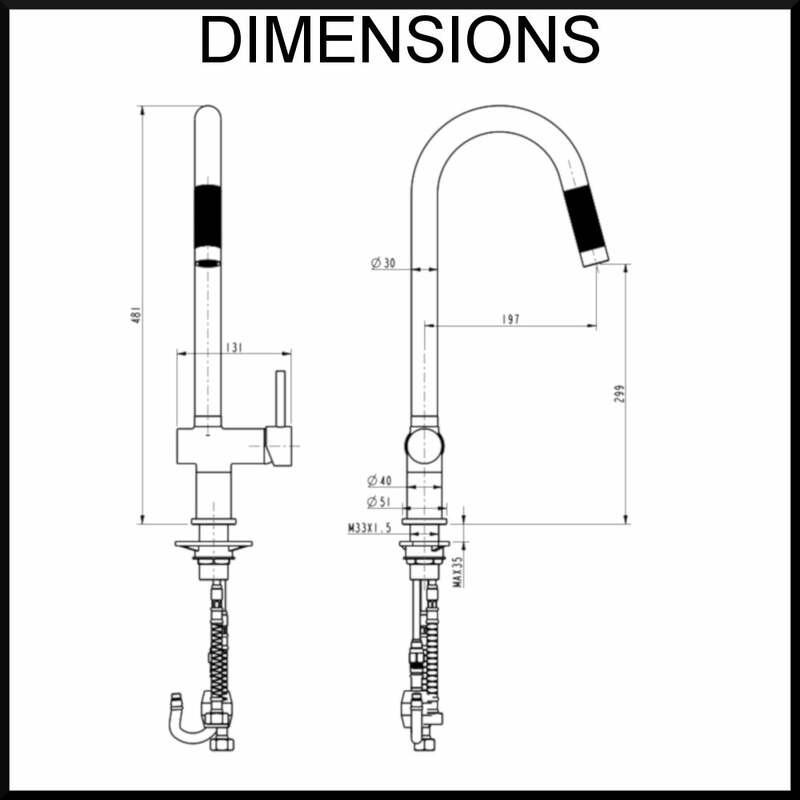 Its pull-out flexi head is highly practical for maneuvering the water flow, and provides a stunning industrial design. VALE luxury bathware and kitchenware is produced specifically to meet the unique plumbing and sanitary standards required for Australia and New Zealand. The tapware and bath fixture ranges and designs range from traditional to the latest bold European styles. VALE products are all manufactured from quality DR Brass or high grade stainless steel to satisfy the requirements of architects and discerning home renovators. VALE is 100% Australian owned and partners with global designers and component manufacturers to provide the highest quality.